This bullaun is called the “Rolls of Butter” and dates back to about 3500 BC. It is the only multiple stone bullaun so far discovered, anywhere in the world. It’s located near Bonane, County Kerry, Ireland. Its purpose is a bit of a mystery but the placement of the wells mirror the lower part of the constellation of Orion as well as Sirius. 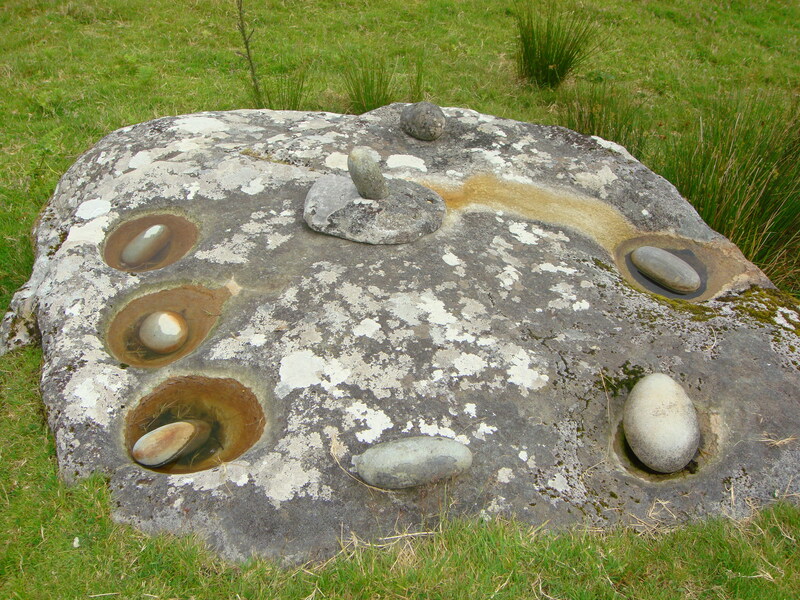 There is an amazing number of astronomical features throughout the area, including stone circles, stone rows, standing stones etc. As always, click on photo to see a larger image.